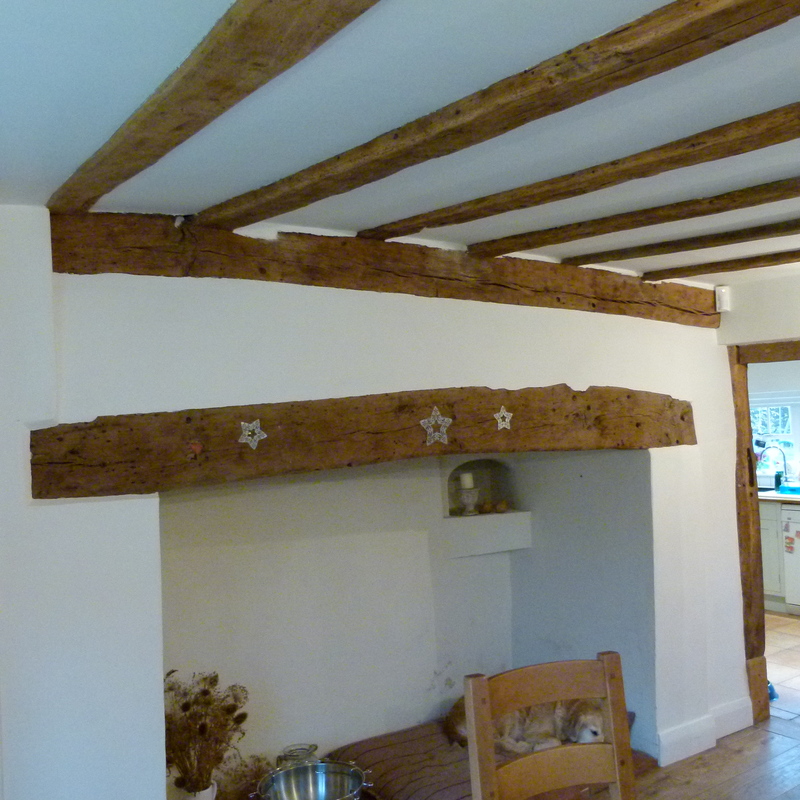 After Two Years consent has been granted for a Beautiful Grade 11 Listed timber framed Cottage. 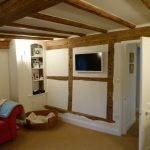 We were approached in June 2014 by the owners of a beautiful timber framed Cottage overlooking Wisborough Green in West Sussex. 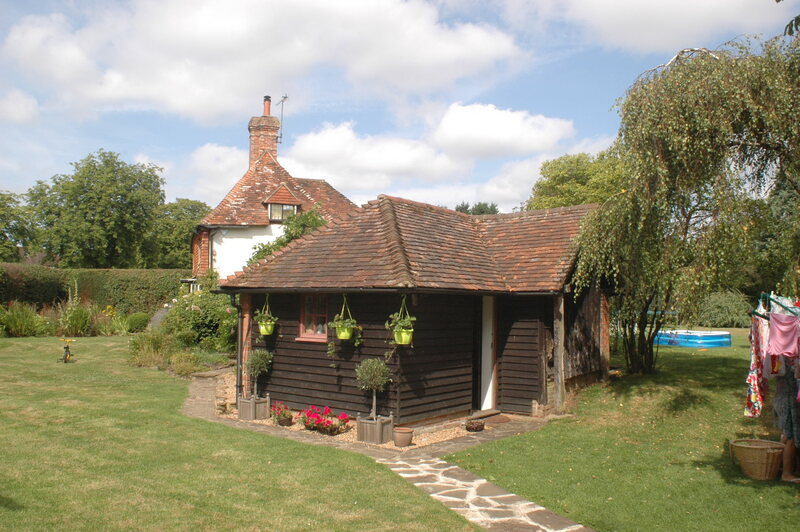 The Cottage is of high importance and is described in the Wisborough Green Character Appraisal as being a key focal building in the conservation area. 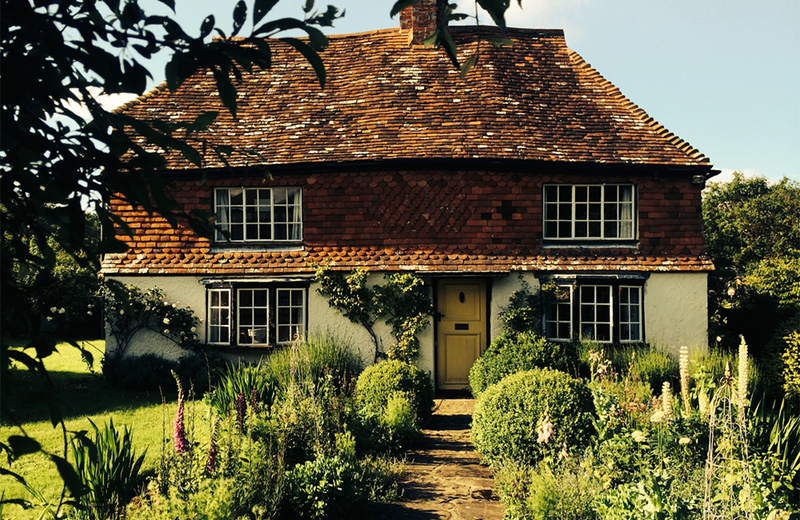 It was further described as being considered highly desirable that it remains unchanged. Numerous attempts to extend the property over the years had met with council resistance. The majority of which had progressed no further than a sketch scheme, although an application under previous Policy was refused in 1997. 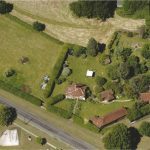 Clearly a challenge is a challenge and having visited the property our opinion was very different to that of the Conservation Officer and the local authority. 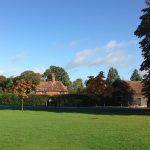 Having already been involved with a similar project under the control of Chichester District Council that had met with local authority resistance which was overcome by careful research into the history and development of the building we accepted the challenge and were appointed under a NO WIN NO FEE BASIS. Clearly taking all the risk should our attempts prove futile our fee was naturally increased to a reasonable level but obviously we were taking ALL the risk so the challenge was on. 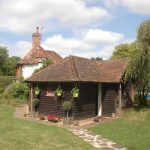 Park Cottage is set in a relatively large garden with a beautiful Grade 11 Listed Barn sited between the Cottage and the junction. 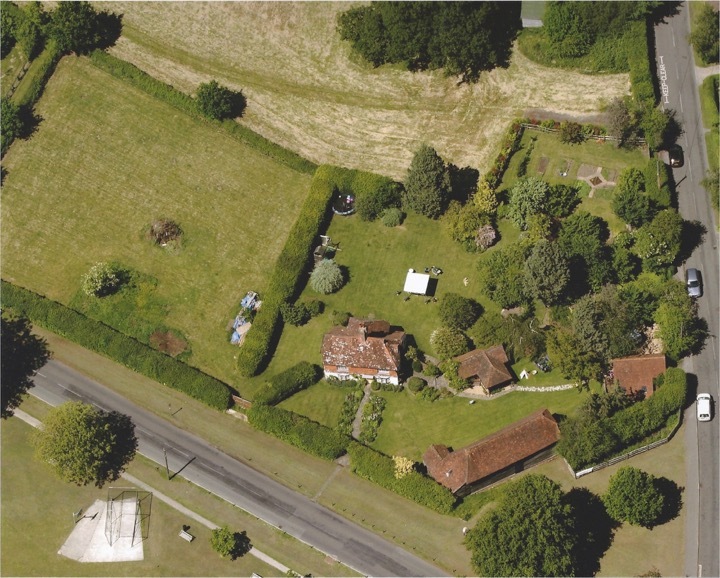 Whilst the uppermost part of the cottage is visible from the highway it can only just be be seen from Wisborough Green over the surrounding hedge from certain vantage points. 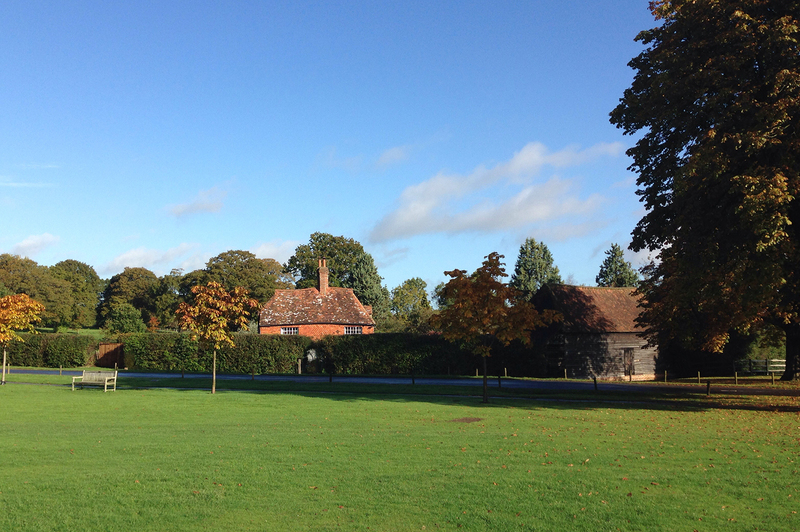 The remaining part of the cottage is totally hidden from view. 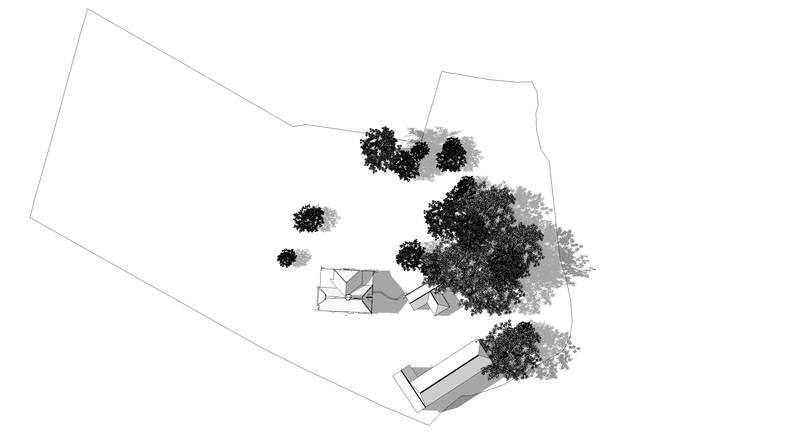 The Barn and mature trees totally shield the Cottage from other points to the East. 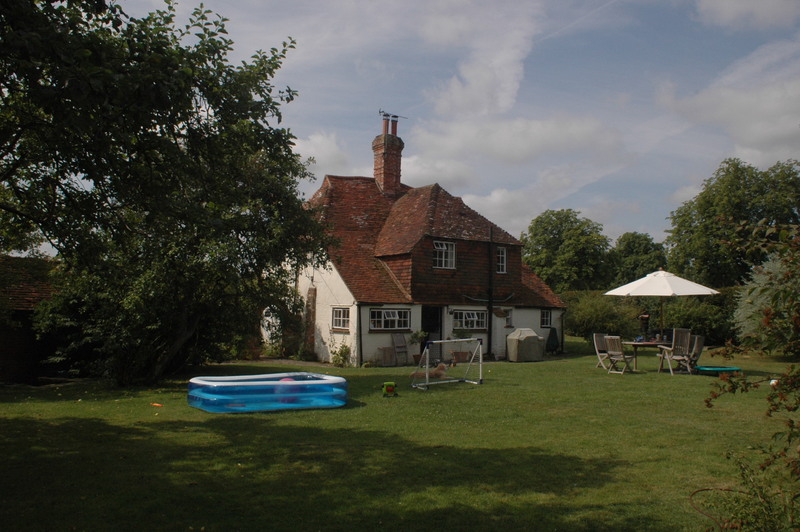 Any extension to the rear of the property will not be readily visible from any public vantage points; and whilst this does not negate possible harm any extension or alteration could have with regards the listed building; to a degree, it does negate possible impact the alterations could be perceived as having on the character and appearance of the conservation area (surrounding area). On our first visit we totally understood the clients love of the property and desire to remain in such a fantastic location and therefore their desire to extend the property and increase its size from basically a two up two down timber framed house to a larger three/four bedroom house with a large family kitchen that could remain the family residence long into the future. away to allow access from the relatively recent stair addition which has blacksmith straps and rises within the outshot. 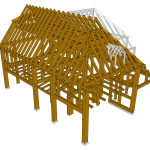 Within the roof space all of the rafters are pegged at the apex; there is also evidence of randomly situated recycled sooted rafters of medieval scantling with empty collar mortices. 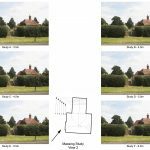 The first steps were to produce a series of Massing/Impact Studies to gain a better understanding of the impact any extension would have on the listed building and of course the local area. 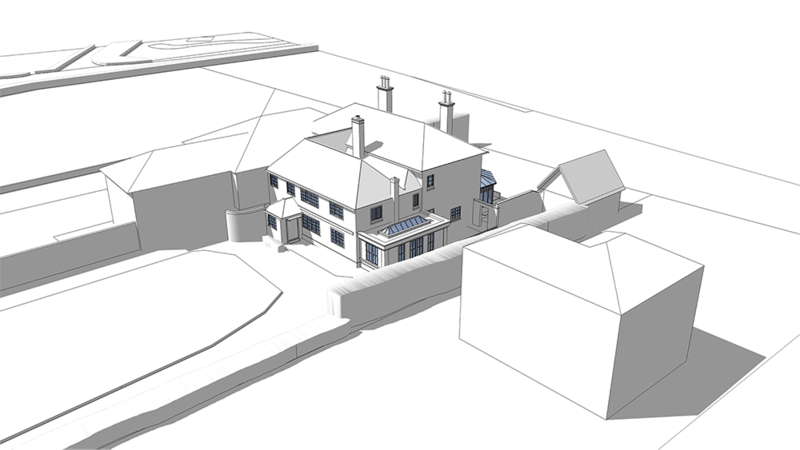 We took a number of photographs at key focal points and using our clever in house geeks we created a series of views to present to the planning department and the client outlining the impact any proposed extension would have on the Character of the Conservation Area. 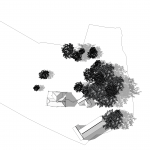 After serious consideration we concluded that the largest addition achievable without adverse impact on the Character of the Conservation area was 4.5m. 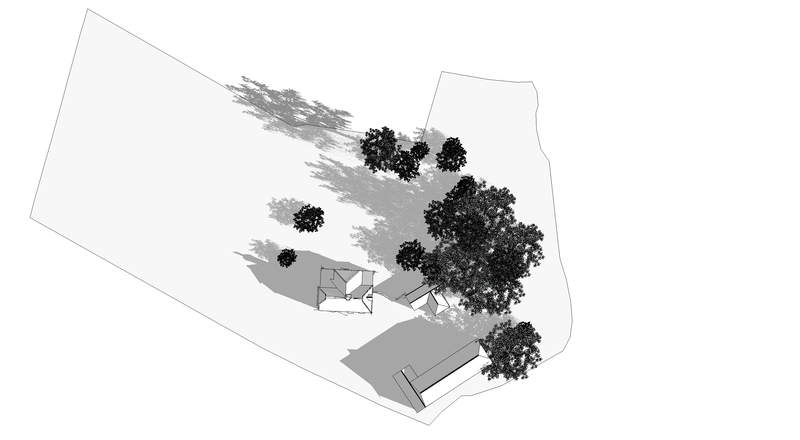 We then worked up a scheme and presented it to the councils conservation officer for pre-application advice. 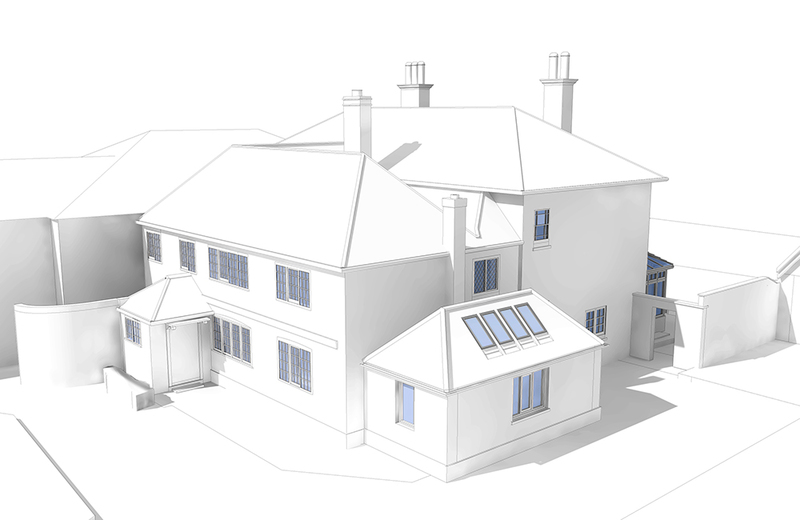 At the same time we undertook a series of sun studies to ensure that the positioning of the scheme and location of windows ensured adequate solar gain. Whilst this was not instructed by the client, we always consider that this is best practice to ensure optimal energy usage. Characteristically the councils immediate position was to find fault with the design, in particular the scale and form of the proposal, its increased length, the fenestration with the introduction of a number of large openings and the modern additions and modern use of materials. We then dissected and rationalised the councils objections and formulated another way forward. 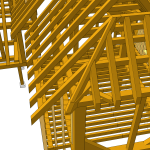 Evidently simply altering the the otherwise inappropriately large dormer was not taking the scheme and alterations far enough for this timber framed cottage. 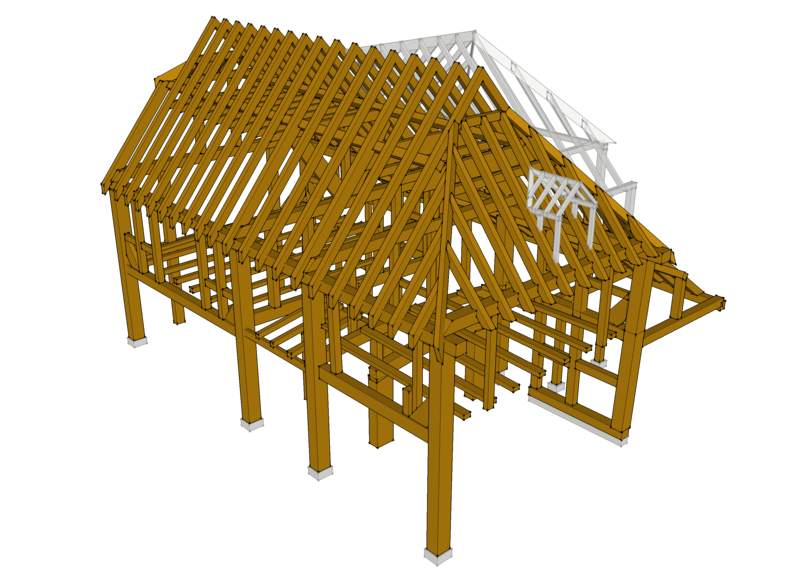 We therefore set about undertaking an in-depth study of the original timber framed structure. 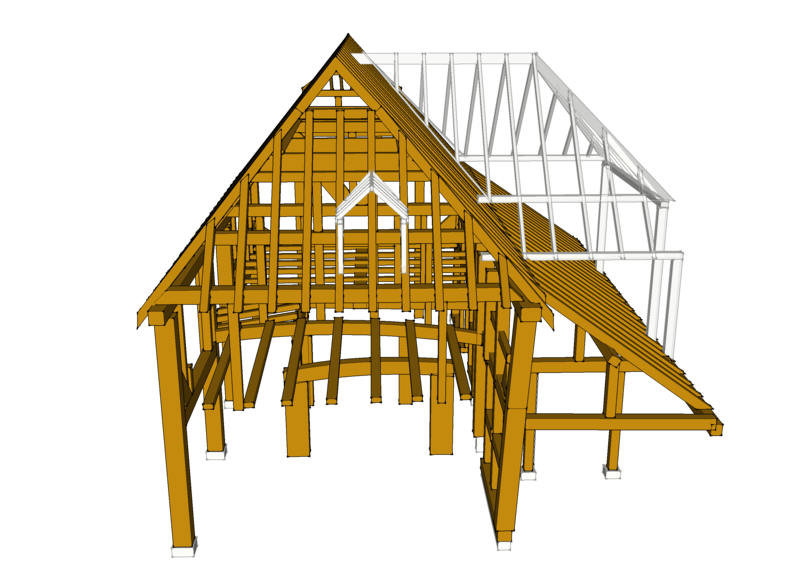 A series of three-dimensional models were created after spending at least two days on site taking measurements and photographs of the timber framed structure as required. 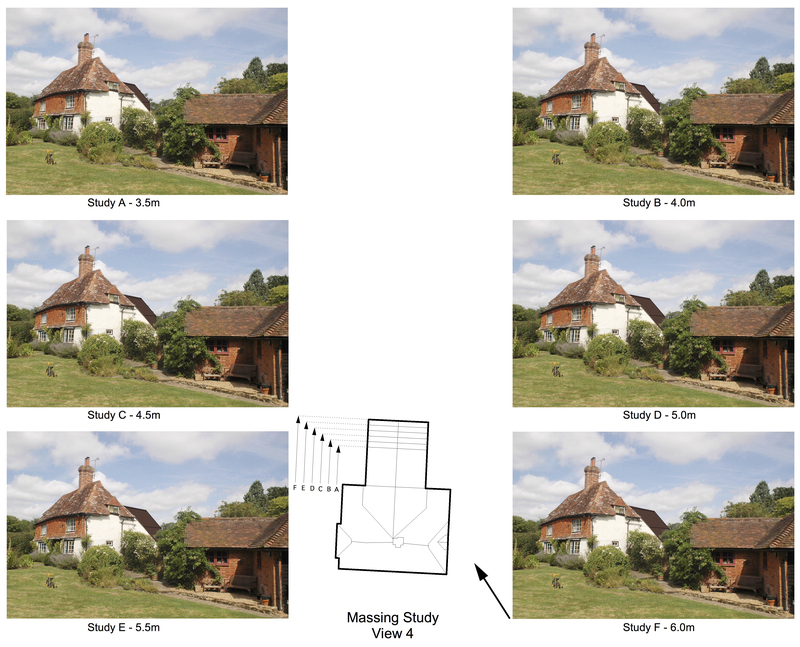 From this detailed study an organic adaptation was conceived that both reversed the previous harmful addition/alterations and expressed the original timber framed cottage. 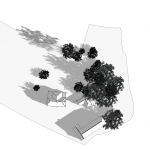 We also proposed an addition to the existing Bothy (A bothy is a basic shelter, usually left unlocked and available for anyone to use free of charge. 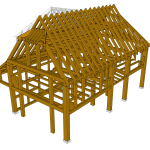 It was also a term for basic accommodation, usually for gardeners or other workers on an estate) that would increase its size by 100% to include a direct link back to the main house. 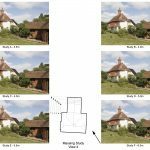 Whilst the link was considered acceptable the increase in volume proposed for the Bothy also met with council resistance. This of course also required further study and imagination enabling a more detailed explanation and rational argument/explanation for the proposal. We submitted two updated designs for a link proposal for council review. 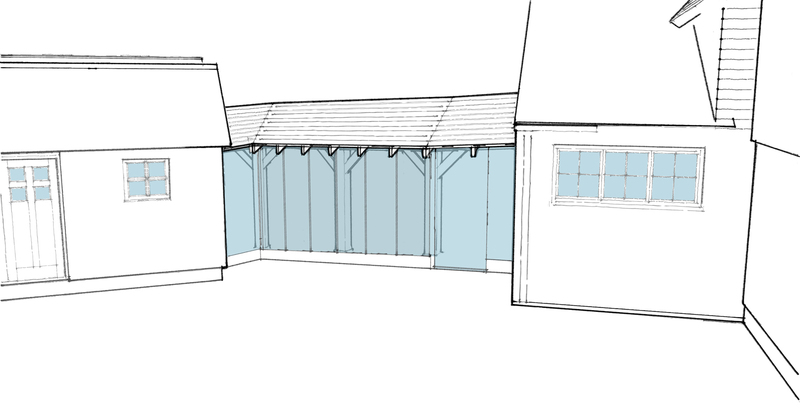 After discussions with the council an updated scheme for the Bothy was presented to the council, also for review. Having undertaken an in-depth analysis of the existing timber framed Cottage we set about the intellectual task of refining the design. 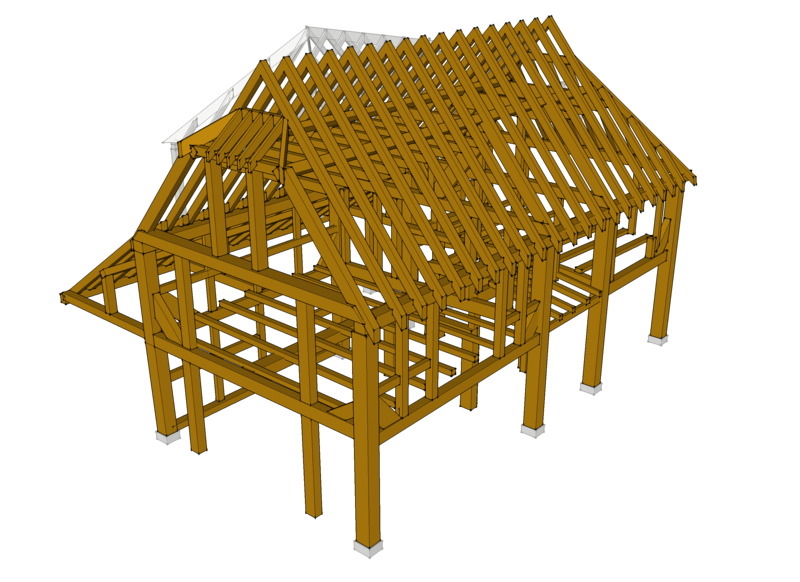 On examination it was evident that the existing structure was built using a grid to form three bays with a central chimney stack and wide outshot. 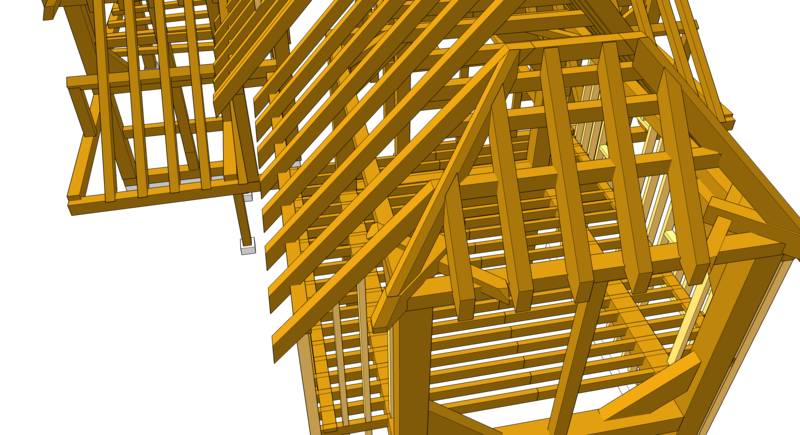 The incongruous half-hipped dormer was inserted into the central part of the outshot. 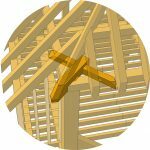 After removing the incongruous dormer we set about designing a timber structure that both enhanced the existing structure and yet was true to itself. Honest design. 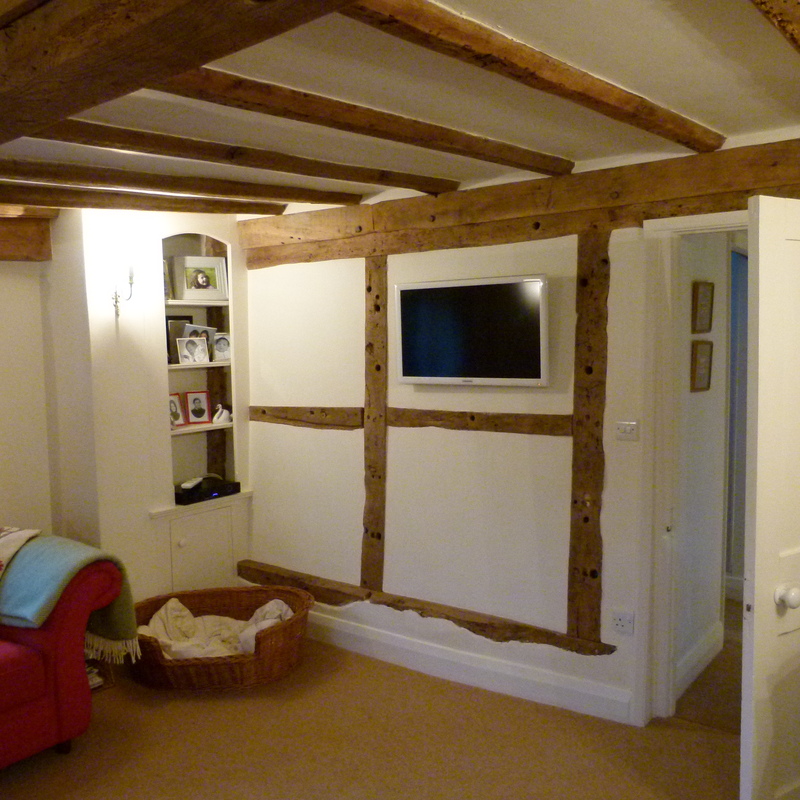 To ensure as much internal room as possible we proposed to hang the external wall structure off the proposed oak frame. 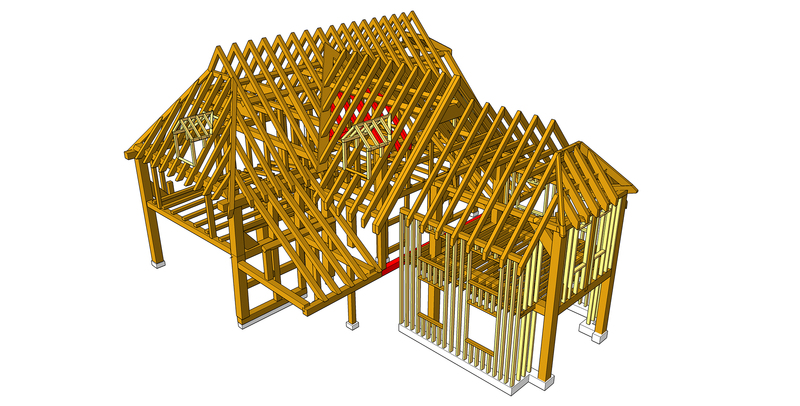 Whilst we are not engineers and do not know the exact sizes required we predict that this might save around 200mm which is a lot when tight on space. To ensure structural stability we included authentic dragon beams on all of the corners to keep them rigid. 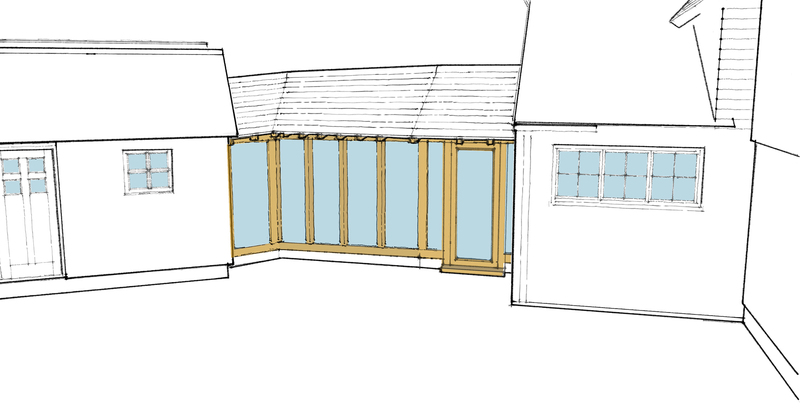 With the incongruous dormer now removed a new dormer and further timber framed extension were proposed to sit in alignment with the existing bays. 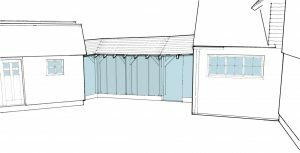 It was then time to clad the beautifully formed structure with materials to sit and complement the existing timber framed cottage. 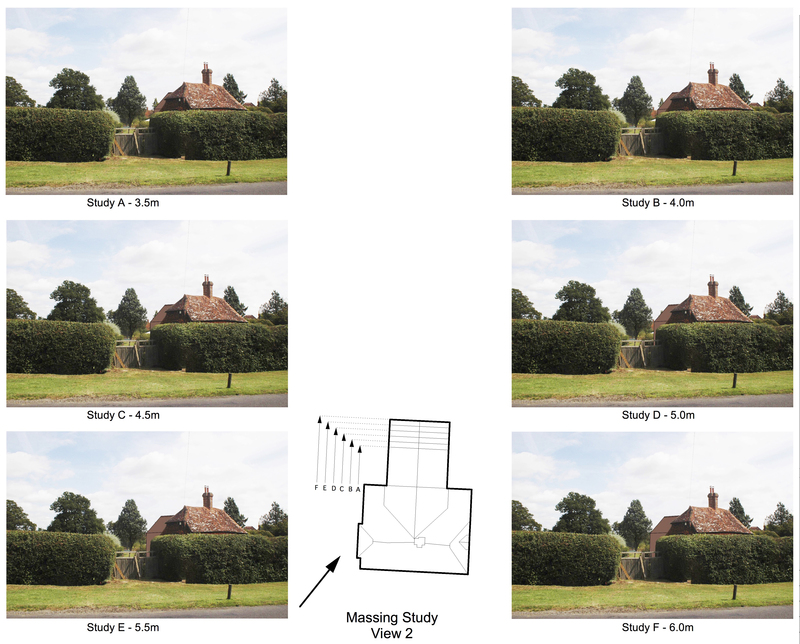 It’s never easy to get planning, but after just over four years and more than 20 contentious projects we are proud to state that the method we propose currently has a 100% success rate. 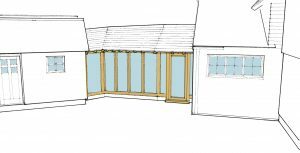 After two years of detailed negotiation with the local council I am proud to say that we received consent for alterations that even the owners considered to be completely unachievable. 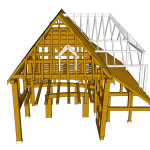 Do you think we can help you with your Current Project? Perhaps You Are After Some Advice?